2. How many tickets will you be purchasing today? FREE ACW Shirt with each Weekend Pass Purchase of each ticket. 3. What size of shirt will you need? FREE ACW Shirt with Weekend Pass Purchase! Want an extra ACW 7: ALOHA! T-Shirt? Get one here! We have a limited number of passes for the bear party barge on Lake Travis available for $65.00 per person. Sunday, September 1st, from 3:30pm to 7:30pm. Beer and snacks provided. This pass includes transportation to and from the Lakeway Marina from the Host Hotel. You must be ready to board the bus at 2:45 PM. 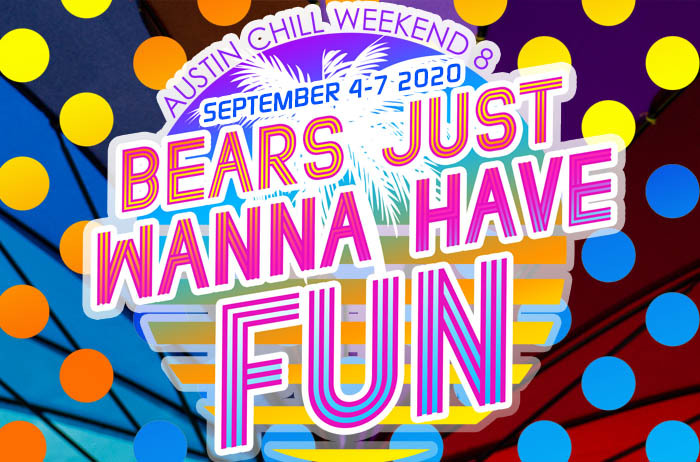 We have a limited number of passes for the bear party barge on Lake Travis available for $60.00 per person. Sunday, September 1st, from 3:30pm to 7pm. Beer, food, and snacks provided. This does NOT include transportation to and from the Marina. You must be ready to board at 3:00 PM. Location of Marina TBD.